Victoria's Secret VS PINK Stuffed Collectible Logo Dog, Limited Edition. Imported polyester shiny bright pink fabric with white logo. 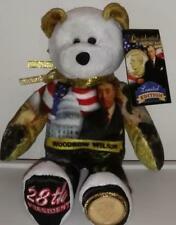 Here is a great "50 State Club" bear. 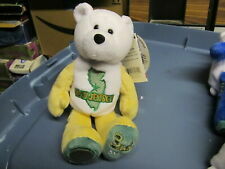 You get the Delaware Bear. Here is a great "50 State Club" bear. You get the Massachusetts Bear. Here is a great "50 State Club" bear. You get the New Jersey Bear. Here is a great "50 State Club" bear. You get the Washington D.C.Bear. 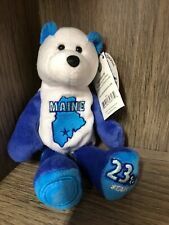 Limited Treasures Coin Bear~2003 Quarter~Maine 23rd State~With Perfect Tags~P5. Condition is New. Shipped with USPS First Class Package. 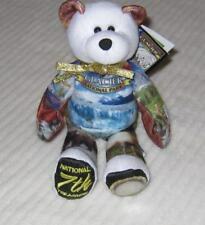 STATUE OF LIBERTY Limited Treasures Stuffed Teddy Bear New York Coin Quarter NWT. Condition is New. Shipped with USPS First Class Package. Here is a great "50 State Club" bear. You get the South Carolina Bear. With Vermont Quarter. Vermont Bear. Limited Edition State Bear. 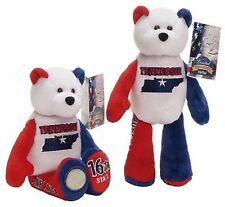 Limited Treasures State Quarters Coin Beanie Teddy Bear West Virginia #35. Condition is New. Shipped with USPS First Class Package. 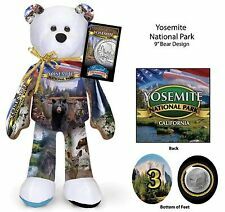 Lot X 7 Limited Treasure Stuffed Plush bears All 50 State Quarter Coin . No Coin. Condition is Used. Shipped with USPS Priority Mail. 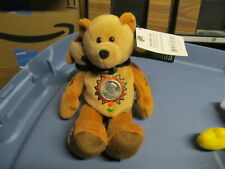 NWT Limited Treasures Sacajawea and Pomp Coin Bear from 2002 Bear is 8” tall with coin! Limited Treasures: State Quarter Coin Bears Lot Of 12 States Includes~ North Carolina Delaware Pennsylvania Connecticut Massachusetts Tennessee Kentucky Vermont Rhode island Maryland New Hampshire Virginia Condition is New. Shipped with USPS Priority Mail. 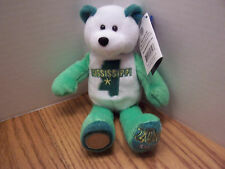 Bear #25 Arkansas (Misprint) - This 9" Coin bear has an actual state quarter mounted on it's right paw; the incorrect date of statehood on the side of it's right leg; and it's statehood number on it's left foot. OVERALL GOOD SHAPE WITH SLIGHT WEAR/DIRTY. You will receive the exact item shown in the photos. 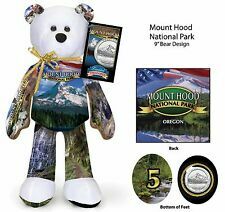 This 9" Plush Coin bear has an actual state quarter mounted on it's right paw, date of statehood on the side of it's right leg, and it's statehood number on it's left foot. Each of these Nebraska coin Bears produced has a permanently attached uncirculated Nebraska quarter in the left foot of the bear. US Mint State quarters, and Limited Treasures collector coin bears. We try to respond right away. SOLD OUT OF #19 FOR ABOUT A YEAR. #35 John F. Kennedy. #17 SOLD OUT TILL SPRING OF 2019. #36 Lyndon B. Johnson. #16 Abraham Lincoln. #34 Dwight D. Eisenhower. #33 Harry S. Truman. #32 Franklin D. Roosevelt. 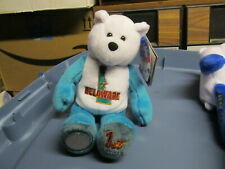 Limited Treasures Delaware Coin Bear. Bear is missing the quarter that was originally intact on foot. Rare Limited Treasures Coin Bears. I only took up close pictures of a few bears, due to limited amount of pictures allowed. Each bear has the state quarter on its foot (See Pics). Quarter bear. A Limited Treasures. South Dakota. The Bear Features a Quarter Pocket, Stitched year on the left ear the Quarter was introduced - Embroidered State flag on the back. The bear is in like new condition. This charming "Limited Treasures" Bean Bear is just waiting to help celebrate the wonderful event. 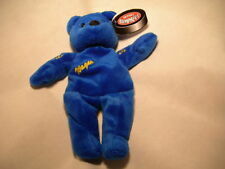 Bear is designed as a collectible not a toy. What a great gift for that new Mother, Father, Sister or Brother. Each of these North Dakota coin Bears produced has a permanently attached uncirculated North Dakota quarter in the left foot of the bear. US Mint State quarters, and Limited Treasures collector coin bears. He is 9” tall. On the bear’s left foot is a Republican elephant and the election date is on his right. (Bush ran against John Kerry in the 2004 election.). 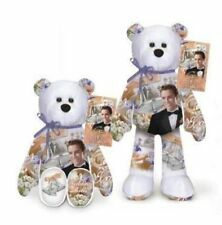 For that Special Occasion, TheCollectible Stuffed Plush Bear "Love 'Ya Mom" by Limited Treasure Bears is the perfect gift. 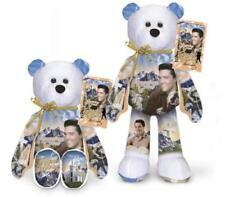 Plush Bear is 9" high and is from the Limited Treasure Bear Collection. 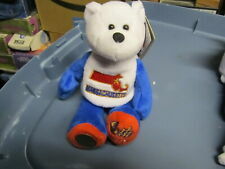 Collectible Plush Bear from Limited Treasures - LOVE YA MOM.